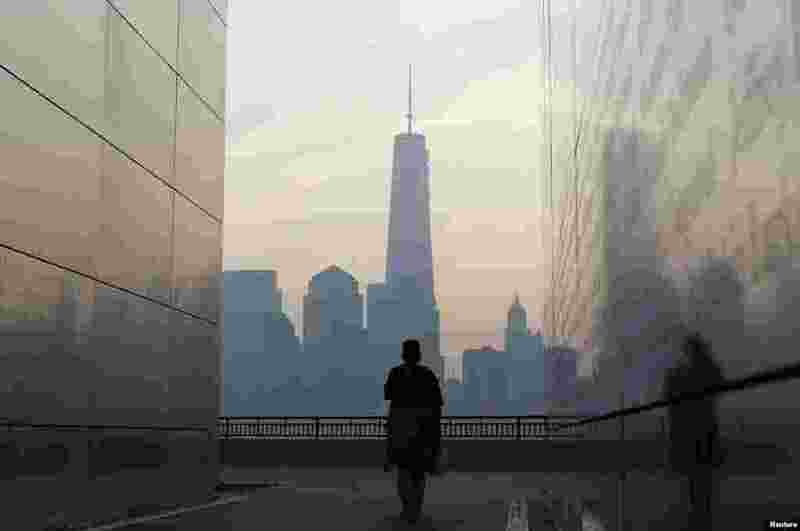 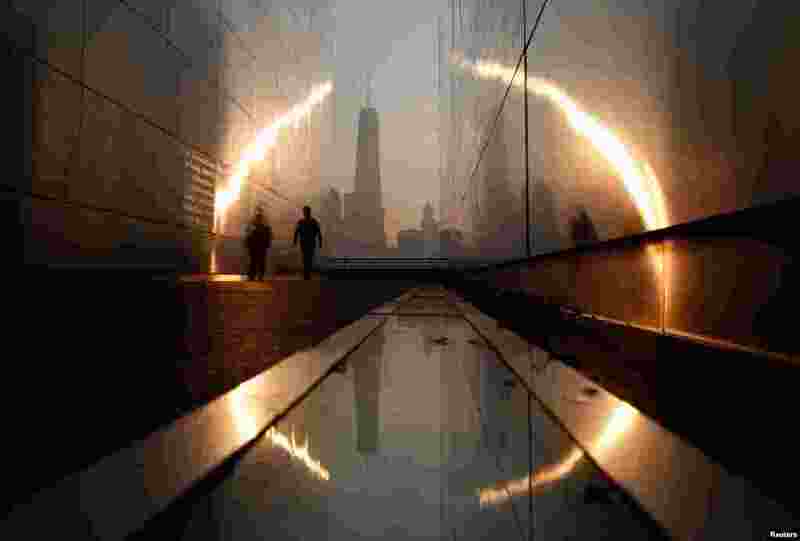 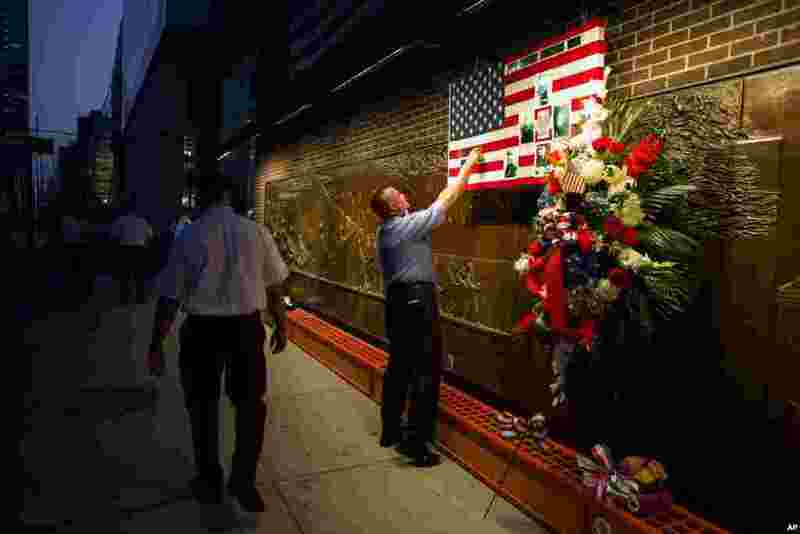 5 A woman looks out at New York's Lower Manhattan and One World Trade Center from inside the 9/11 Empty Sky memorial at Liberty State Park in Jersey City, New Jersey, September 11, 2013. 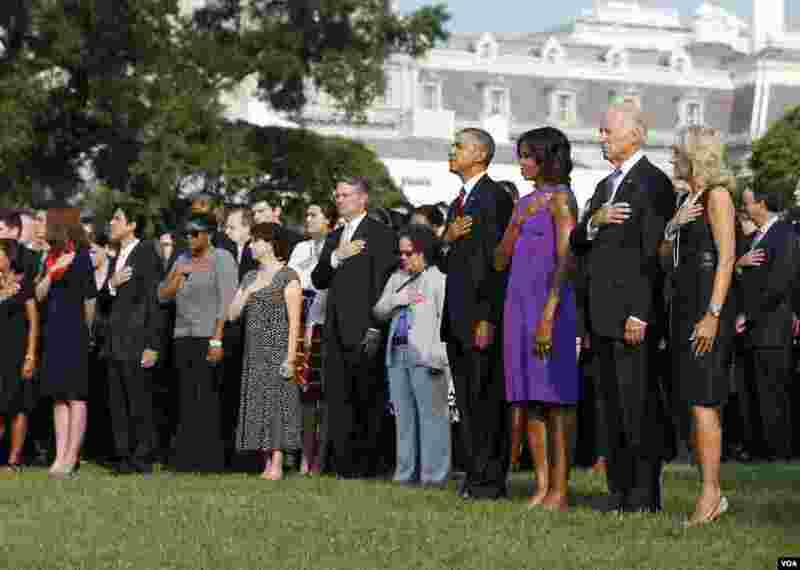 6 U.S. President Barack Obama, first lady Michelle Obama, Vice President Joe Biden and Jill Biden (L-R) pause for a moment of silence on the 12th anniversary of the attacks of September 11, 2001, on the South Lawn of the White House in Washington. 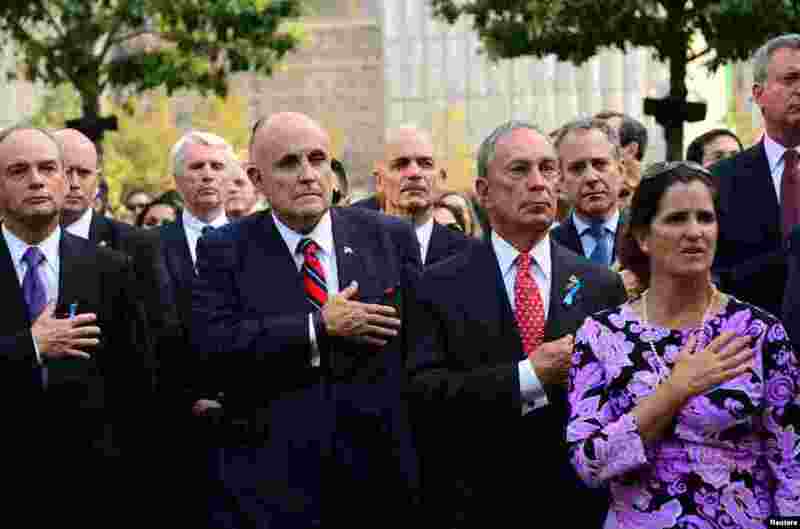 7 People observe a moment of silence honoring the victims of the September 11 attacks outside the World Trade Center site in New York, September 11, 2013. 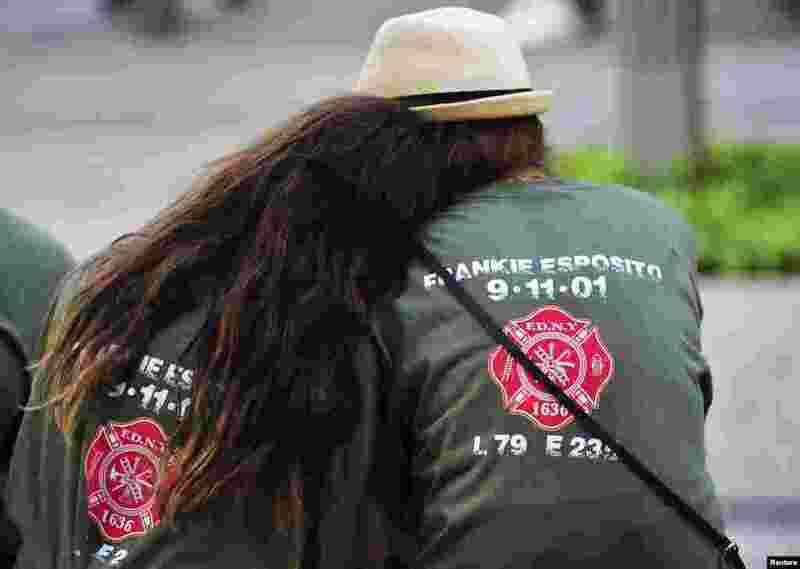 8 Two people with shirts commemorating New York City Fire Department firefighter Frankie Esposito sit at the South reflecting pool at the 9/11 Memorial during ceremonies marking the 12th anniversary of the 9/11 attacks on the World Trade Center in New York.